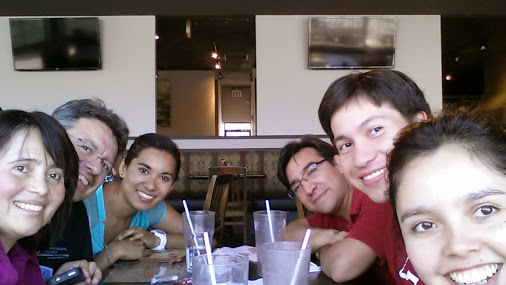 Since Julie was leaving on Saturday, those present in the lab last Thursday had lunch together. Julie is a PhD student co-supervised by me and Dr. Santoyo. She came from Mexico for a few months to learn some bioinformatics that she will apply to her PhD project on the rhizospheric microbiome associated to a few crops. 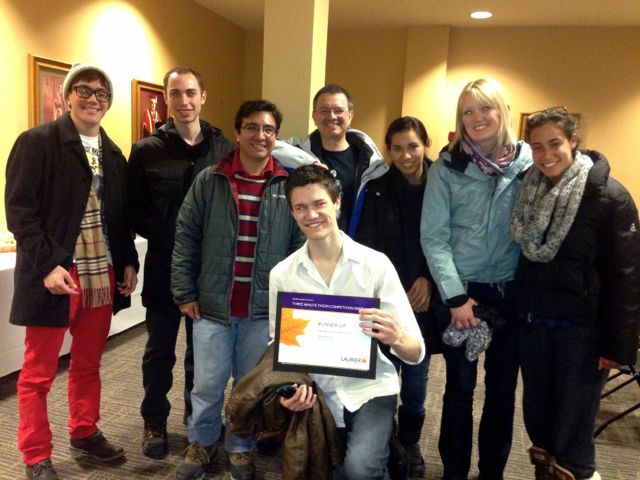 Today, Scott Dobson-Mitchell was the runner up at the three-minute thesis competition (3MT) at Laurier. Marc is done with the M.Sc.! Marc presented his thesis defense last Wednesday (Oct 30). All is well. Some corrections to make, but that’s that. 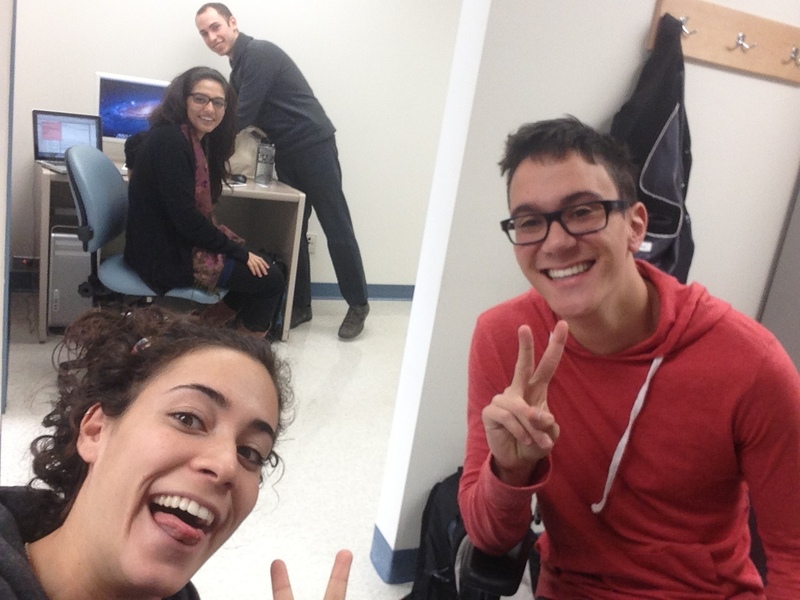 Anyway, the photo presents the undergrad force of the lab of Computational conSequences (Brigitte, Erum, and Thomas), plus Marc. Taken that very day.